Olivia Newport brings us back to Prairie Avenue to explore the place where class, social expectations, and romance come together. Readers will enjoy following the intrepid Sarah as she searches for true love in a world of illusions. 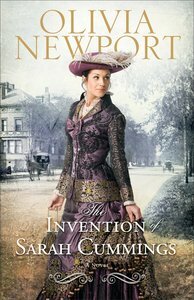 About "The Invention of Sarah Cummings (#03 in Avenue Of Dreams Series)"